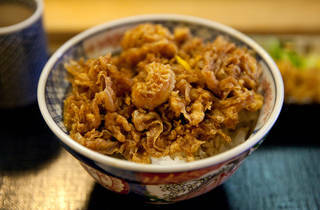 Now run by the second generation of owners, Tenshige is an Akasaka classic. 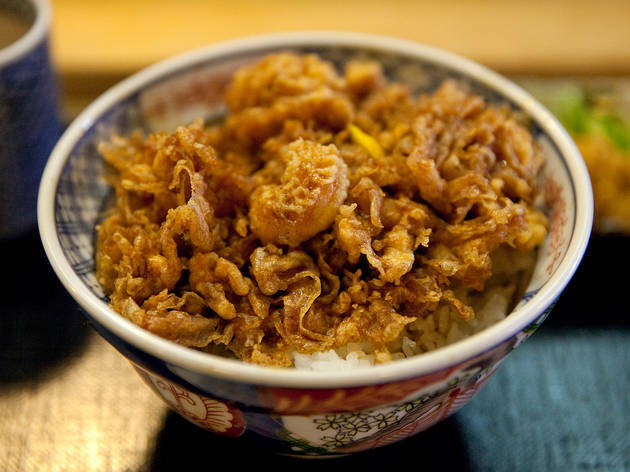 There are two types of tempura bowls available at lunch time, the regular tendon and the kakiage (¥1,300 each), but almost everyone goes for the latter. The simple mixture of prawns and shellfish is wrapped in a fluffy batter with a soft texture, while the yuzu peel on top adds accent to the rich sauce. Don't forget to order the red miso soup (¥100), too.